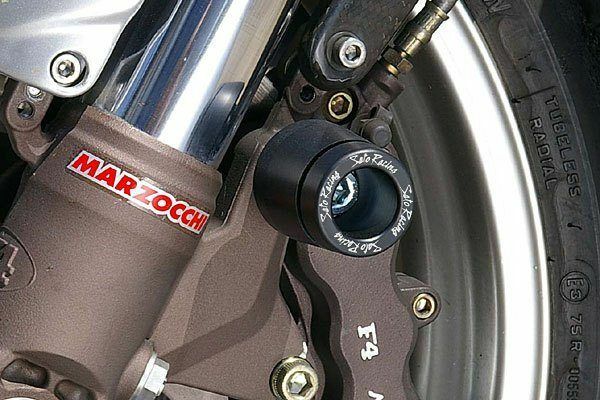 Please note, newer Brutale & F4 models with radial brakes cannot accept these fork bottom sliders. Installs only on early models with traditional style brake calipers. Please call or email with questions. Add extra protection to the bottom of your fork legs and calipers! Easy installation with supplied hardware.